The legendary folk singer and one of England’s most respected song collectors – has announced her return to recording after 38 years. The new album, Lodestar, will be released on November 4th on the influential label Domino. With it, Shirley is announcing a handful of live shows which will feature songs from the new album and guests special to each date to make each show unique. Colston Hall will have one of these very special Lodestar events. Shirley has created the unlikeliest release of the century so far and the live show will be no different. The album is a collection of English, American and Cajun songs dating from the 16th Century to the 1950s, recorded at Shirley’s home in Lewes by Stephen Thrower and Ossian Brown of Cyclobe and produced and musically directed by Ian Kearey. She’ll be joined on the night by these musicians, plus Blur’s Graham Coxon, Mercury-nominated singer Sam Lee, and singer and multi-instrumentalist Olivia Chaney . The show will also feature Boss Morris, an all-female Morris dancing ensemble, and visuals from Nick Abrams. Shirley Collins, from the Hastings area of East Sussex in a family which kept alive a great love of traditional song, growing up with her older sister Dolly. Songs learnt from their grandfather and from their mother’s sister, Grace Winborn, were to be important in the sisters’ repertoire throughout their career. In London she involved herself in the early folk revival, making her first appearance on vinyl on the 1955 compilation Folk Song Today. In 1958 Collins recorded her first two albums, Sweet England and False True Lovers. The albums featured sparse arrangements with Collins accompanying herself on the banjo. Sweet England was released in 1959 and False True Lovers in 1960. Collins also recorded a series of EPs in 1958 and 1959: The Foggy Dew, English Songs, English Songs Volume 2, and Shirley Sings Irish. Shirley has spent her career travelling all over the world, song collecting, recording, releasing compilation albums and performing. Three decades later she’s releasing her new album ‘Lodestar’. Sam Lee has been awarded the 2011 Arts Foundation prize, won FRoots Magazine Album Of The Year and been nominated for the 2012 Mercury Prize and three BBC Folk Awards. He has taken his music worldwide to more than 20 countries, appeared in Peaky Blinders on TV, and joined The Unthanks to commemorate the Great War at the Barbican in London. In May 2014 Lee performed ‘The Tan Yard Side’ to the accompaniment only of a nightingale on BBC Radio 4 to mark the 90th anniversary of the first-ever BBC outside broadcast. Singer-songwriter & multi-instrumentalist Olivia Chaney has been steadily gaining a reputation for her captivating live shows and genre-defying songs. 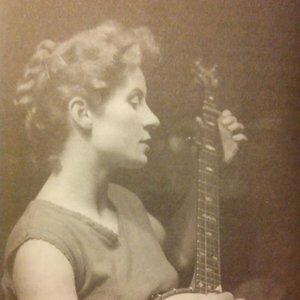 After scholarships to Chetham’s School of Music and the Royal Academy as a pianist, singer and composer, Olivia then collaborated and toured extensively whilst delving deeper into the British folk repertoire and teaching herself guitar and harmonium. She eventually self-released an eponymous EP which caught the attention of Nonesuch Records in New York. Since then, she has enjoyed sellout shows around Australia in conjunction with ABC National Radio, as well as opening for Robert Plant at the Brooklyn Academy of Music in New York. American folk-rockers The Decemberists invited her to support their American tour and during 2017 she will open for American songwriter Ben Folds during his UK tour with two nights at the London Palladium in June, a folk song recording project in Portland, Oregon with members of The Decemberists, and a soon-to-be-released album with Kronos Quartet. Shirley Collins / Shows / Colston Hall #colstonhall #show172051 https://t.co/mPU9FYfU4g Folk royalty comes to Bristol, we are very honoured.